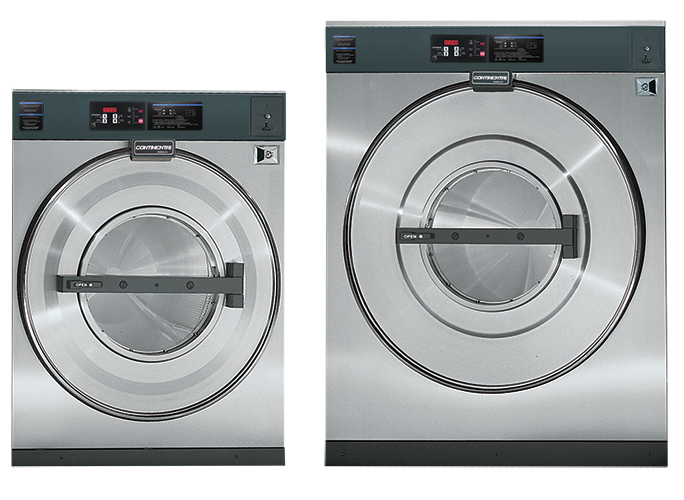 These durable, proven commercial coin-operated washers bring energy-efficiency, ease-of-use and programmability to self-service laundries. L-Series commercial coin-operated washers are available in 75- and 125-pound capacities. Unmatched durability is the cornerstone of Continental’s entire line of hard-mount commercial coin-operated washers . 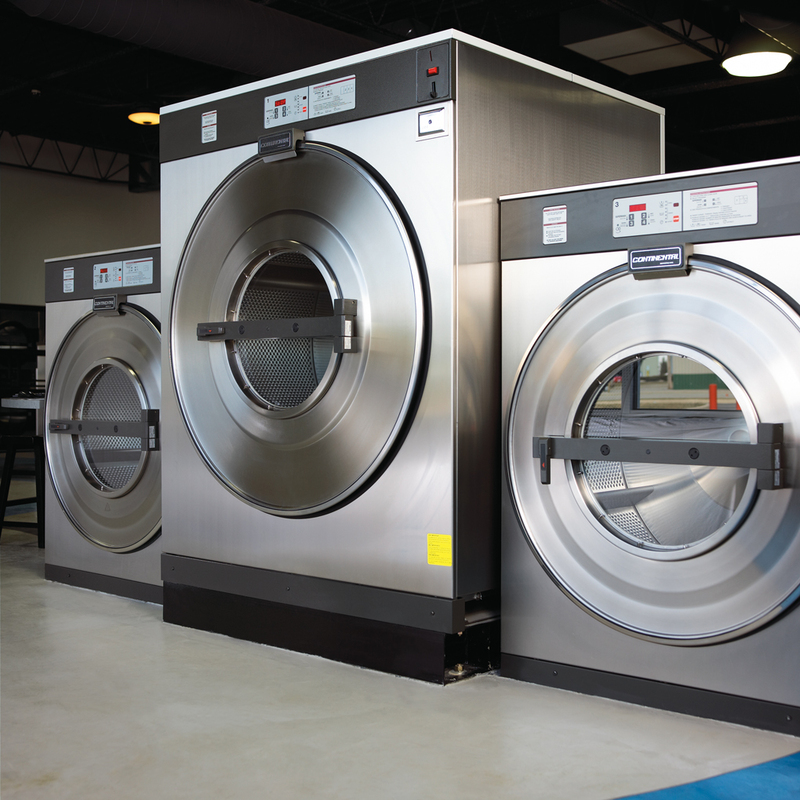 Designed to withstand the rigors of constant use, the front load commercial washers feature corrosion-resistant AISI-304 stainless steel inner and outer drums and front, side and top panels. Such stainless steel construction helps extend machine life and brings a streamlined, clean look to your self-serve commercial laundry. The advanced drive system offers optimum wash performance and heightened energy efficiency. This is due to the design of the drive system, which uses only the energy required to perform. No energy is wasted during start-up or operation of the L-Series front-load commercial washers . The hard-mount commercial card- or coin-operated washer-extractors also feature an outer tub designed for reduced water consumption and programmable controls featuring economy cycles, which allow storeowners to program machines for optimum water and energy savings. Our hard-mount commercial coin-operated washer-extractors fit closely together, thanks to easily accessible, well-placed mounting holes designed to maximize floor space and minimize installation costs. Should service be necessary, the machines provide easy access to all moving parts. There’s never need for lubrication on the L-Series commercial coin-operated washers. 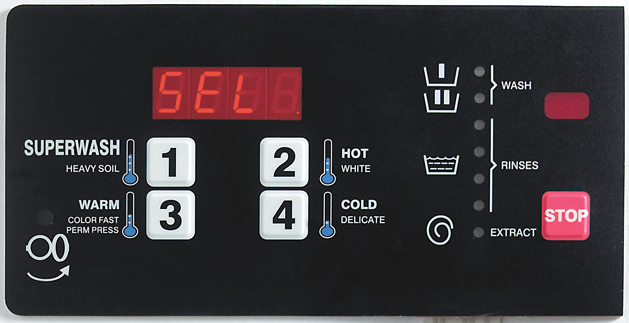 Standard with a digital-coin drop, Continental commercial washers are also available debit-card ready and offer easy-to-use programmable controls. Commercial Washer-Extractor Control System With Continental’s CM Control, You’re in the Driver’s seat! Continental hard-mount commercial card- or coin-operated washer-extractors feature the CM Control system with ProfitStar technology – a programmable system allowing storeowners to maximize profit potential by customizing wash time, temperature and time-of-day pricing. Using the control, storeowners can shorten cycle time by up to 50 percent—maximizing customer turnover and profits. On peak weekend days in your laundry, these savings could potentially mean twice as many customers in and out of your store. Washer operation couldn't be simpler. Users simply select wash type, add detergent and press start. A digital readout tracks the progress of their laundry. A self-cleaning, four-compartment dispenser for powders and liquids makes adding detergents quick and easy. Plus, the hard-mount commercial card- and coin-operated washers are available with factory-fitted automatic chemical injection inlets for laundries interested in streamlining operations. Continental’s PowerLoad and PowerLoad Plus Commercial Coin-Operated Washers are in demand by customers for family-load washing. Reap the revenue rewards as these machines bring customers in the door. Used wisely, these power machines can also help coin laundries cater to new markets via wash-dry-fold services and by processing laundry for commercial accounts, including catering companies, restaurants, beauty salons, health clubs and child care centers. That’s why our vended washer-extractors are backed by the industry’s best factory warranty. Continental laundry products are engineered for high performance, years of constant use, superior programmability and unrivaled efficiency. Feel secure knowing that Continental vended washer-extractors are backed by an industry-best ContinentalCare warranty.